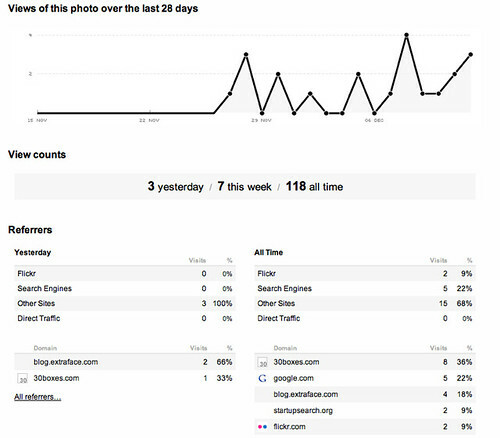 Whole bunch of new stats, including referrers, coming to Flickr! 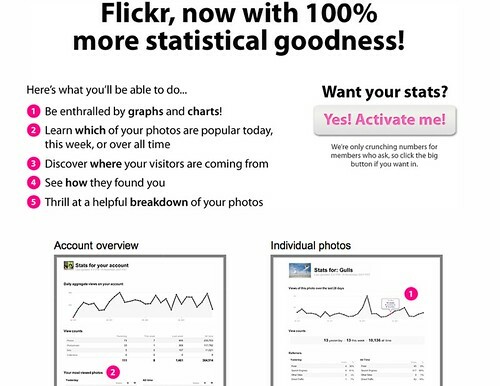 Look for the stats link on your photos to get the ball rolling. Update: Here’s what the stats view for a photo looks like. 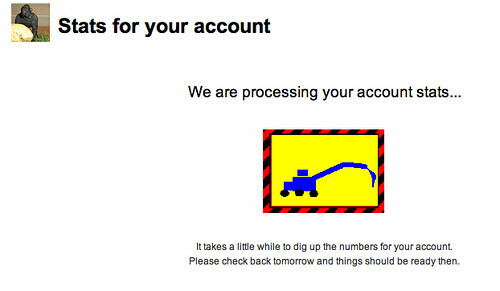 Nice work, Flickr! …and more on this from Heather Champ over on Flickr’s blog and in the FAQs. Sweet! Yet another example of why we are madly in love with Flickr.